One of the main events of 2017 has been the victory won by the Russian armed forces and the Assad government in Syria. When Russian President Vladimir Putin decisively intervened in Syria’s bloody civil war in September 2015, many were taken completely by surprise. Western commentators and politicians ― including none other than then-U.S. President Barack Obama ― unanimously predicted that Moscow would get bogged down in the Syrian conflict. Two years on, it is safe to say that Syria has not become a repeat of the Soviet Union’s failed campaign in Afghanistan. The Russian intervention has all but achieved all of its key goals. The military and political situation of the Assad regime, which seemed almost hopeless in the summer of 2015, has radically improved. The Syrian government is now in control of over 90 percent of the country’s territory. The self-proclaimed Islamic State is on the brink of extinction. Many other radical Islamist groups have been left in a severely weakened state. The more moderate anti-Assad opposition, which receives massive military assistance from the United States and Gulf monarchies, is not doing much better, either. Weakened, fragmented and militarily isolated, it has all bust lost any chance of winning the civil war. President Bashar Assad’s political future is no longer in any doubt. The greatest surprise is not the success of Russia’s intervention in Syria but the very limited forces and assets that have proved sufficient to achieve that victory. Moscow did not deploy any large numbers of troops on the ground. Its losses in Syria have been negligible. The Russian expeditionary force has remained very small throughout the entire campaign ― a few thousand men at the very most, including military police and personnel operated by private military campaigns. No more than a few hundred of them were involved at any one time in any single operation. The amount of military hardware Russia has deployed in Syria is also very limited. By all accounts, the price of the Russian campaign in Syria has proved very affordable, both financially and in terms of the losses of Russian personnel, which remain well below 100 men. The Russian Air Force group in Syria is not very large, either. It was estimated at various periods at 30-50 combat aircraft and 16-40 helicopters. The number of sorties per aircraft, however, has been impressively high. By late August 2017, Russian planes and helicopters had flown more than 28,000 missions in Syria and attacked approximately 90,000 targets, with a loss of only one Su-24M plane. Let us recall that during the campaign in Afghanistan, the Soviet forces lost an average of one combat aircraft for every 750 sorties. Meanwhile, the Russian UAVs deployed in Syria have flown more than 14,000 sorties. The success and affordability of the Russian military intervention in Syria contrast sharply with the U.S. record in many parts of the globe. That success can be ascribed to several key factors. First, Russia has managed to foster a very productive symbiosis between its expeditionary forces and Syrian government troops. It has taken effective steps to rebuild the fighting ability of the Syrian Army. The revitalized Syrian units were often bolstered by a small but highly capable contingent of Russian support personnel and elite Spetsnaz troops. Even more importantly, high-ranking Russian officers were not limited to advisory roles. They led Syrian troops on many important stretches of the front, bringing in much-needed military experience and expertise. Many of the key Syrian units are led by Russian generals. The 5th Volunteer Assault Corps, which has been the Syrian Army’s main assault unit over the past 12 months, is equipped with Russian hardware and formed and led by Russian commanders, who also hand-picked the unit’s Syrian personnel. This approach may lack political correctness, but it has proved highly effective. Second, Russia has managed to obviate the need for deploying large numbers of troops on the ground by bringing in private military companies. These companies consist of well-paid mercenaries, most of whom are retired Russian servicemen. The difference from the similar practice in the United States is that the Russian private military companies are not relegated to supporting roles. They are used as highly capable assault forces, and their personnel are often embedded with Syrian units to augment those units’ fighting ability. This approach has proved very useful both militarily and politically, as it minimizes the political cost of direct military intervention. The Russian public has proved completely indifferent to reports of the losses suffered by the mercenary companies, rightly believing that “these people are highly paid, and knew what they were getting into.” As a result ― and contrary to Western expectations ― Russian losses in Syria have not led to any negative domestic repercussions for the Putin administration. The West tends to ignore the success of the Russian military intervention in Syria, and pays little attention to the various aspects of Russian military activity in that country. Clearly, this is not a pleasant topic for the Western political and military observers whose predictions that Putin would get bogged down in Syria have proved wrong. Nevertheless, the victorious Russian military campaign has major implications for the future course of the Russian military machine. At just over two years, the campaign in Syria has not been very long, but almost all senior Russian military commanders have been involved in it on a rotational basis. According to a November 2017 statement by the chief of the Russian General Staff, Army Gen. Valeriy Gerasimov, “all the commanders of the military districts, combined-services armies, and Air Force and Air Defense armies, as well as almost all divisional commanders, and more than half of the commanders of combined-services brigades and regiments” have had a stint in Syria. All these officers have gained valuable, real-life experience of complex modern warfare in a remote theater, in a campaign where air power and high-precision weapons have played a major role, and where complex supply and logistics challenges have been largely resolved. The availability of these experienced commanders, a record of a successful and victorious military campaign, and the lessons learned from using air power, modern technology and special operations forces will provide a major boost to the Russian military machine for years to come. Additionally, the confidence gained by the Russian military in Syria may steer Russian foreign and military policy toward a more assertive and interventionist course. 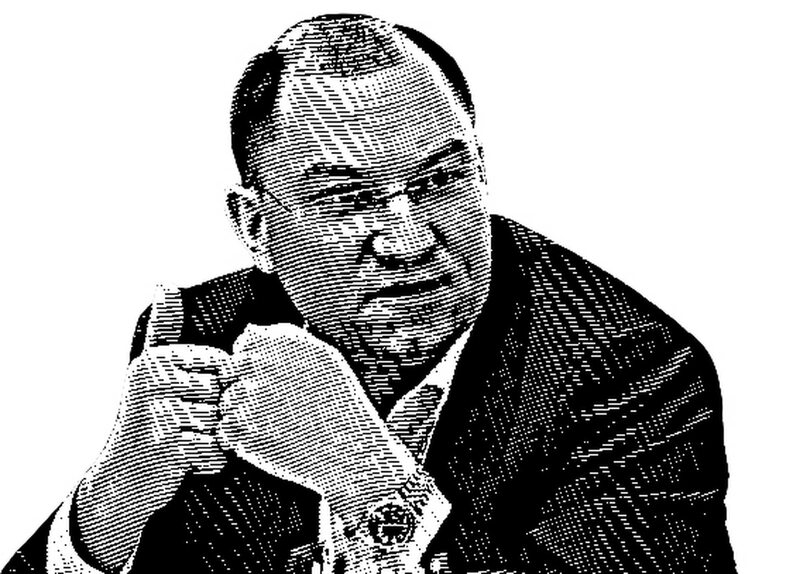 Ruslan Pukhov is the director of the Centre for Analysis of Strategies and Technologies, a think tank dedicated to studying the defense industry and arms trade.